We regret to announce that Harrison Schmitt is unable to be in Tucson this evening for this scheduled talk at the Arizona Geological Society. Our meeting is cancelled. We are sorry for the late notice and you will receive a refund or credit for your registration. The talk will be RESCHEDULED. We will keep you apprised of the situation. Abstract: In December 1972, the Apollo 17 Mission became the most recent field trip to the Moon by human explorers. This 13-day adventure in space took geologist Harrison Schmitt to the Valley of Taurus-Littrow in the southeastern rim of the 740 km. diameter basin filled by Mare Serenitatis. After 72 hours on the lunar surface, including 22 hours outside the lunar module Challenger,the astronauts returned over 250 pounds of samples to Earth. A number of new insights into the geology of the valley of Taurus-Littrow and surrounding regions of the Moon have resulted from recent synthesis and integration of transmitted field notes, field recollections, and photo-documentation with over forty years of data from sample analysis and geophysical measurements. Proximity to the Earth, lack of atmosphere, gravity only one-sixth that of the Earth, planetary position as the smallest of the terrestrial planets, and potential life-sustaining resources almost certainly assure a role for the Moon in future lunar activities in support of human exploration, utilization, and settlement of space. The Moon can be considered as a stepping stone towards Mars and beyond and also as the low cost supply depot for deep space exploration and settlement. The first milestone in such an approach would be the development of helium-3 fusion power fueled by lunar helium-3. BIO: Harrison Hagan Schmitt, a native of Silver City, NM, has the diverse experience of a geologist, pilot, astronaut, administrator, businessman, writer, and U. S. Senator. Schmitt received his B. S. from Caltech, studied as a Fulbright Scholar at Oslo, and attended graduate school at Harvard. Geological field studies in Norway formed the basis of his Ph.D. in 1964. As a civilian, Schmitt received Air Force jet pilot wings in 1965 and Navy helicopter wings in 1967, logging more than 2100 hours of flying time. Selected for the Scientist-Astronaut program in 1965, Schmitt organized the lunar science training for the Apollo Astronauts, represented the crews during the development of hardware and procedures for lunar surface exploration, and oversaw the final preparation of the Apollo 11 Lunar Module Descent Stage. He served as Mission Scientist in support of the Apollo 11 mission. After training as back-up Lunar Module Pilot for Apollo 15, Schmitt flew in space as Lunar Module Pilot for Apollo 17 - the last Apollo mission to the moon. On December 11, 1972, he landed in the Valley of Taurus-Littrow as the only scientist and the last of 12 men to step on the Moon. In 1975, after two years managing NASA's Energy Program Office, Schmitt fulfilled a long-standing personal commitment by entering politics. Elected in 1976, he served a six-year term in the U.S. Senate beginning in 1977. 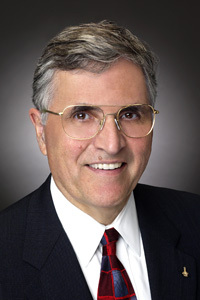 Harrison Schmitt became Chairman of the NASA Advisory Council in November 2005, and served until October 2008. He also consults, speaks, and writes on policy and constitutional issues of the future, the science of the Moon and Planets, history of space flight and geology, space exploration, space law, climate change, and the American Southwest. He presently is Honorary Associate Professor of Engineering, University of Wisconsin-Madison, teaching "Resources from Space." He is on the staff of the Institute for Human and Machine Cognition of Pensacola, Florida. Current board memberships include Orbital Sciences Corporation (lead director) and Edenspace Systems Corporation. In 1997, Schmitt co-founded and became Chairman of Interlune-Intermars Initiative, Inc., advancing the private sector's acquisition of lunar resources and Helium-3 fusion power and clinical use of medical isotopes produced by fusion-related processes. He is the author of, "Return to the Moon" (2006 Springer-Praxis) that describes a private enterprise approach to providing lunar helium-3 fusion energy resources for use on Earth. Schmitt's essays on the Constitution are collected on the "Americas Uncommon Sense" web site http://americasuncommonsense.com. NOTE: Copies of Harrison Schmitt's book, "Return to the Moon" with a forward by Neil Armstrong will be for sale at this dinner meeting for $25. Senator Schmitt will autograph any books purchased.